I earned my bachelor’s degree in political science and history at Indiana University. In the 25 years since, politics has come to irritate rather than excite me. History, however, will always have its hold on me. After three-plus weeks on the Appalachian Trail, I have stumbled upon roots, rocks, bog bridges — and several cool historical nuggets. 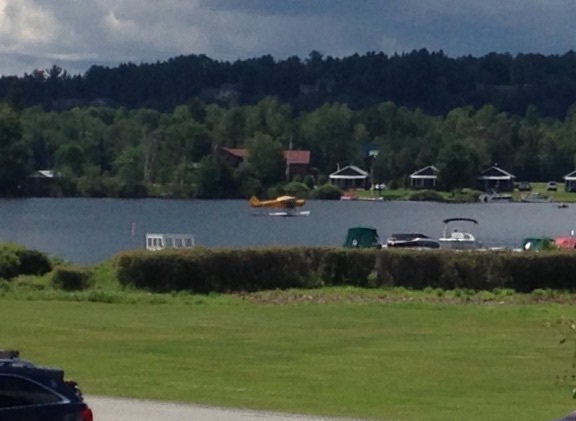 In the summer resort town of Rangeley, life revolves around its beautiful lake, though this place offers more than most among Maine’s trail hamlets: a theater, three sports outfitters, a bowling alley and several restaurants. 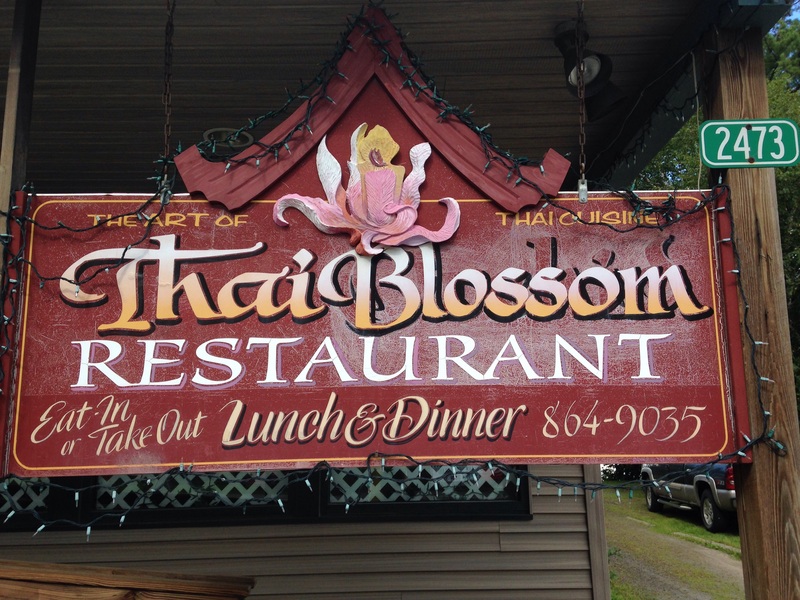 At Thai Blossom, I fed my weekslong craving for pad thai. The shrimp was delicious but was nothing compared to the story of owner Somchai “Sam” Sriweawnetr. Sam is a chef from Thailand, but 36 years ago he found himself at the center of one of the 20th century’s most tumultuous times in U.S. foreign policy. In early 1979, he took a job at a Korean restaurant in Tehran, Iran. After only six months, he was out of work when anti-western cleric Ayatollah Khomeini shut down the restaurant for selling alcohol. 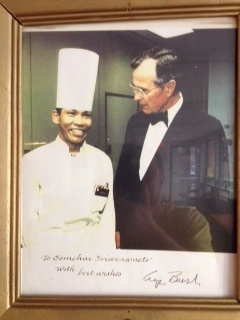 Sam found work cooking for American diplomats. Student revolutionaries stormed the American embassy Nov. 4, seizing more than 60 hostages. Five Americans were outside the embassy during the attack, and Sam helped them hide out in Tehran. The embassy’s chief political officer, Victor Tomseth, was married to a Thai woman, spoke Thai and was an acquaintance of Sam. The Iranians kept their hostages for 444 days, releasing them Jan. 20, 1981, the day of Ronald Reagan’s inauguration. Sam escaped Iran only three days before the Americans, returning to Thailand for a month. He wanted to move to the United States, but the Americans found him a job at the Sheraton in Abu Dhabi, United Arab Emirates, until tensions from the hostage crisis settled down. After a year in Abu Dhabi, the hero chef came to America, settling in Boston. If this story of international intrigue sounds familiar, that’s because it came to the big screen in 2012. 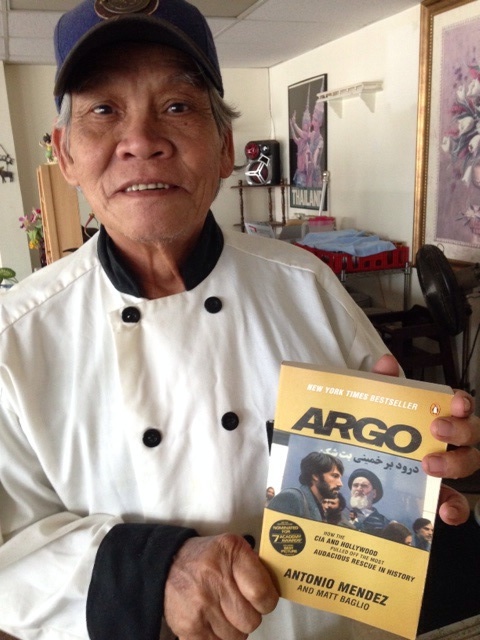 Sam’s character was cut out of the Oscar-nominated film “Argo,” but he can show you his part of the tale in the book. Sam misses his grandchildren in Boston, however, and is retiring to Massachusetts after this summer. If you get a chance to see him before he heads south, be sure to thank him for his tasty pad thai and his service to America. Fifty miles north and 200 years earlier, another big moment in U.S. history took place. 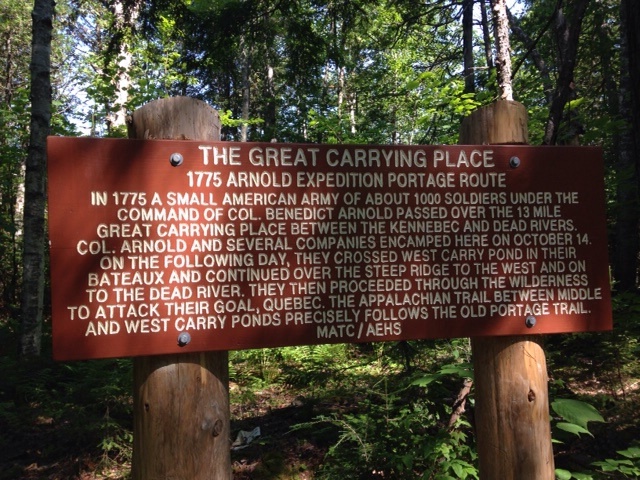 Between the towns of Caratunk and Stratton, Col. Benedict Arnold’s troops portaged 13 miles between the Dead and Kennebec rivers. The 1,000 troops were headed to Canada for the invasion of Quebec. The effort failed, but Arnold distinguished himself and earned a fan in George Washington, the commander of the Revolutionary forces. The Connecticut native impressed Washington, who did what he could to aid Arnold’s career. Unfortunately, Arnold was not adept at the political game and often felt snubbed by the Continental Congress and had run-ins with Gens. Ethan Allen and Horatio Gates and other Revolutionary leaders. After what he saw as repeated indignities from politicians and military leaders, a serious leg injury suffered in battle and financial troubles, Arnold betrayed the colonists and joined the British. A man who looked destined to go down as one of his nation’s first great patriots became the most scandalous New Englander in history … until Tom Brady, anyway. (Sorry, Carl. I couldn’t let the air out of that softball. I had to swing away.) Then again, at least Brady stuck with the Patriots. History is worth learning and preserving for others to find. The types of friends you meet has something to do with the type of person you are. Thanks, Kevin! You are too kind. This is a wonderful community of people out here.